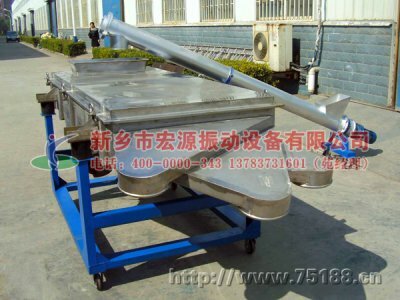 Efficient and high precision Plane whirl screen,It includes a base 4 and a screen install elastic ball sieve body 2, stand at opposite ends of the lateral has a gantry hanger 1, respectively on two gantry hanger and the ring of base respectively connected with the base level of hoist rope 3, on stand by side install a driver unit 5, above the driver installation has a transmission case 6, the driving shaft and driven shaft in the transmission case and its eccentric block and the screen body of feeding mouth at connection, on the other side of the screen body down 3-8 degrees with rope hanging on the other side of the gantry crane frame.It includes a base and a 4 screen install elastic ball sieve body 2, stand at opposite ends of the lateral has a gantry hanger 1, respectively on two gantry hanger and base ring respectively connected with the base level of hoist rope 3, on stand by side install a driver unit 5, above the driver installation has a transmission case 6, the driving shaft and driven shaft in the transmission case and its eccentric block and the screen body of feeding mouth at connection, on the other side of the screen body down 3-8 degrees with rope hanging on the other side of the gantry crane frame. 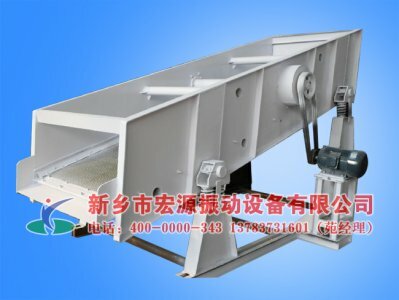 Efficient and high precision plane whirl screen has a advantage of reasonable design, simple structure, smooth operation, fully closed structure, dust-free dye, prevent hole, anti-sticking net and so on.Especially the hygroscopicity strong, big viscosity, easy to plug holes and mesh the twigs of urea is more apparent.Due to the principle of plane rotary motion is adopted, which can effectively reduce the equipment of dynamic load ratio and foundation.Vibrates the device adopts the plane rotary vibrating screen, off-line automatic cleaning device, compared with the traditional linear screnn, improve the working life, the small noise,largescreening area, the efficiency has been increased to 99 from 93 to 95, good promotion prospects.PXZS type plane rotary urea sieving machine mainly for large urea of screening and development of a new screening equipment, is widely used in metallurgy, mining, chemical industry, medicine, building materials, food processing, refractories and other industries precision classification screening operation.Its a new type of high standard screening equipment, the series equipment has high screening efficiency, high utilization rate of screen mesh, stable and reliable work, not easy to break the qualified particle vibration, no pollution, is an ideal environmental protection screening equipment. 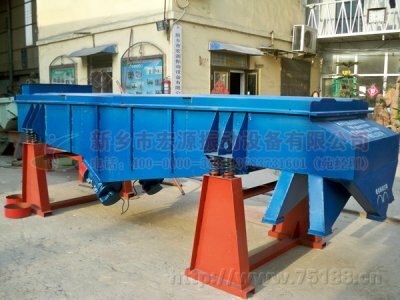 Watching the track movement of the screen box, the plane whirl screen is also called reciprocating screen, vibration produced by the drive power, is a moving around a fixed axle direction in a certain regular changes of inertia force, its essence is formed by the eccentric wheel rotating around a fixed axle reciprocating inertia force.According to the structure characteristics and working principle of whirl screen, the screen surface is level or slightly sloping commonly decorate.Whirl screen working principle is: the sieve machine starts, shaking sieve machine body namely screen box in reciprocating motion, front and back the effect of inertia force operating screen box drives the screen surface to make periodic shaking, so that the material on the surface of the screen to make directional jumping movement, with screen box, smaller than the screen surface aperture physics by mesh drop to lower level, becoming the undersize, greater than the screen surface pore size of the material after continuous rolling jumping movement from the discharging mouth eduction, eventually completed screening work. 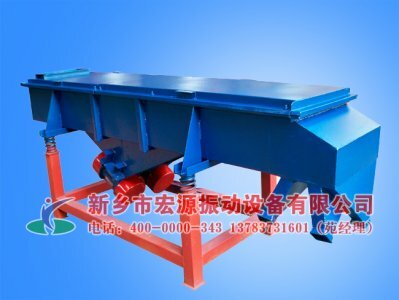 From the structure and working principle of plane whirl screen, you can see that the eccentric distance transmission material movement and material in retention time has vital influence on the surface of the screen, which is to screen machine processing power and screening efficiency have the opposite effect, because of this, in actual screening homework, we can according to the specific circumstances and needs of the two aspects of production capacity and screening efficiency. Same or similar configuration, plane whirl screen than general inertia vibrating screen has a higher capacity and screening efficiency, its essence is that the aircraft can be artificially controlled movement on the surface of the material in the screen and the residence time, namely in the limited space, since the trajectory for the velocity and acceleration of the material for the non-linear curve, so the material in contact with the screen surface has more machine filter, of course, increasing the screening rate.